The 2011 Dependability ratings and awards measure the responses from more than 80,000 verified owners of 3-year-old vehicles annually. This rating focuses on the type and number of problems owners experienced during the preceding 12 months with their 3-year-old vehicle. The fewer the number of problems reported by car owners, the higher the score. Lincoln was the most dependable brand in 2011. Generally efficient and affordable, a small car or SUV can be a smart choice in a vehicle. In 2011, these were the top-ranked models in vehicle dependability. Annually, J.D. Power ranks the models that are most likely to prove dependable, based on problems reported by their original owners. For 2011, the following compact cars and SUVs are expected to be dependable. Each year, J.D. 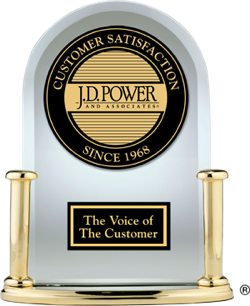 Power measures owner satisfaction with vehicle dependability after three years of ownership. Based on the company's research, the following 2011 midsize cars and SUVs are the most likely to prove durable over time. Based on feedback from original owners, J.D. Power identifies which models are likely to prove the most dependable. The 2011 large cars and SUVs listed below were ranked highest in their respective segments in terms of vehicle dependability.